Key Word Sign is the use of manual signs and natural gesture to support communication. Key Word Sign is used to encourage and support language development in children and adults with communication difficulties. 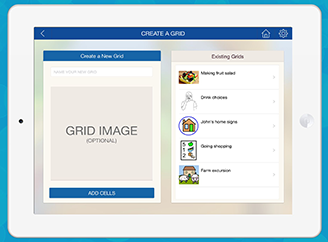 Key word signing uses a core vocabulary of specially selected words that comprise concepts and ideas considered to be the most appropriate for children and adults with communication and language difficulties. Each word (concept) is matched to a hand sign. Key word signing uses Auslan signs. Auslan is the native language of the Australian Deaf community (Australian Sign Language). 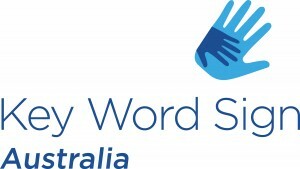 Key Word Sign Australia gratefully acknowledges the Deaf community for the use of Auslan signs. 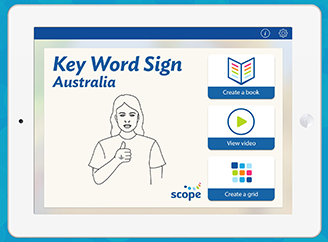 To promote and develop the use of key word signing throughout Australia, for the benefit of people with communication difficulties. To provide for the sale and distribution of Key Word Sign resources across Australia. To be a source of information on all matters relating to key word signing in Australia. To support state-based networks of Key Word Sign representatives. To ensure a high standard of training of Key Word Sign presenters. 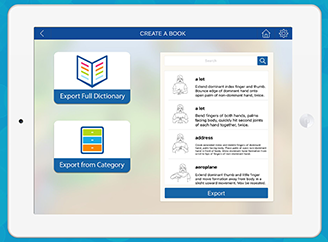 To update and develop new key word signing resources appropriate to Australia. Key Word Sign Australia was formerly known as Makaton Australia. The Makaton Vocabulary was developed in England by Margaret Walker in the early 1970’s. The Makaton Program was introduced to Australia by Anne Cooney in 1977 and first used at the Stockton Hospital (Newcastle, NSW). In 1984 Margaret Walker visited Australia and helped organise Makaton Australia and Makaton state branches. In 2010, Makaton Australia was renamed Key Word Sign Australia. 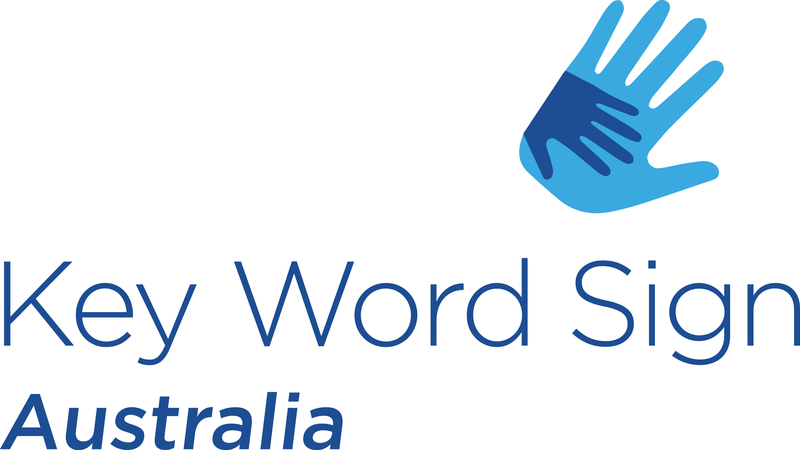 Key Word Sign Australia continues to support children and adults with communication and language difficulties and continues to provide quality resources to families, carers and professionals. The following resources are all available to purchase in the Scope Shop (bulk discounts are available! 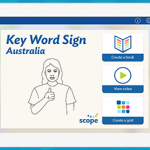 ): Getting Started with Key Word Sign (AUSLAN Edition) Key Signs CD-ROM, Key Word Sign Footy Book, Sign with Me: Learning strategies for Key Word Sign and the Key Word Sign poster sets. 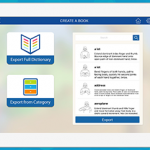 Key Word Sign Australia app – available now in the App Store! Check Auslan signs from the Auslan signbank. 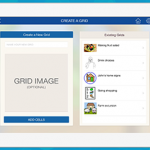 The app is designed for iPad use only. Download for only $39.99 in the app store now! In this webinar, an overview of using Key Word Sign with children, adolescents and adults who are at different ability levels will be discussed. Key Word Sign can be used with beginning communicators and is important for developing skills in “Early interaction”. As the person develops their vocabulary and language abilities, Key Word Sign can be used for “Developing Language”. Key Word Sign is also useful for adolescents and adults who need ongoing support with understanding speech, learning new vocabulary and using Key Word Sign for “Functional Communication”. The webinar will address the different role of the communication partner with children, adolescents and adults who use Key Word Sign for “Early Interaction” “Developing Language”, and “Functional Communication”. A range of teaching strategies will be identified and relevant research will be highlighted. Opportunity for questions and comments will be provided. This webinar is yet to be scheduled with an anticipated date in late 2017. To register please visit our training page. To become a Key Word Sign Presenter, there is a 4 day training course followed by a supervised workshop. To attend presenter training, there is an application process which is evaluated by the committee. You need to attend a 1-day Basic KWS workshop before applying. The training course is intensive and includes lectures with assessment tasks. Topics covered include introduction to communication, augmentative and alternative communication, current research issues, teaching techniques, adult learning and sign production. Presenter training is open to anyone who feels they have an appropriate amount of background knowledge to be able to present the information in a Basic workshop. The supervised workshop must be completed with 12 months of completing the training. News about presenter training will be posted on state websites and via Facebook. Please join and monitor these pages for information. You can register your interest in presenter training via your state contact.